Last year, Food Network made the exciting announcement that it was partnering with Wente Vineyards to unveil entwine, a portfolio of California wines intended to inspire food lovers to dive into the vast and sometimes overwhelming world of wine with ease. The four varietals fans can get their hands on now include Pinot Grigio, Chardonnay, Merlot and Cabernet Sauvignon. 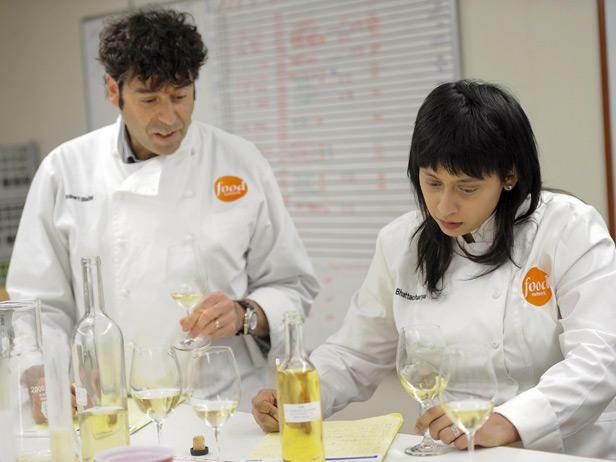 Earlier this month, Executive Chef Rob Bleifer and Culinary Writer Rupa Bhattacharya from Food Network Kitchens traveled to California to visit fifth generation winemaker Karl Wente from Wente Vineyards to conduct a blending session for the newest bottles of Pinot Grigio and Chardonnay. While I'm surrounded by food all day long, I was curious to learn more about the winemaking process, so we asked Karl and Rupa to break down several of the basics. What is a blending session and what goes into the blending experience? According to Karl, "A blending session is when we taste and blend lots of wines (tanks and/or barrel groups) on the bench top. 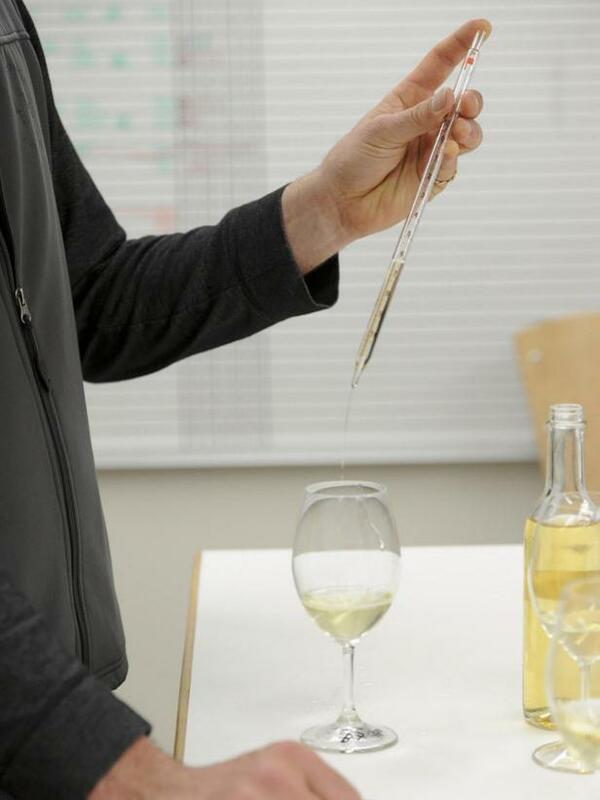 Let’s say we are blending the entwine Pinot Grigio: We will pull samples of all of the Pinot Grigio tanks in the winery, as well as possible blenders, like Gewurztraminer, Riesling, Viognier. "First, we taste all of the wines that are on the table and rate them based on aroma, flavor and texture. Then we discuss the wines as a group and come to a consensus on what each of the wines would bring to a blend. At the same time, we open past vintages of the wine. 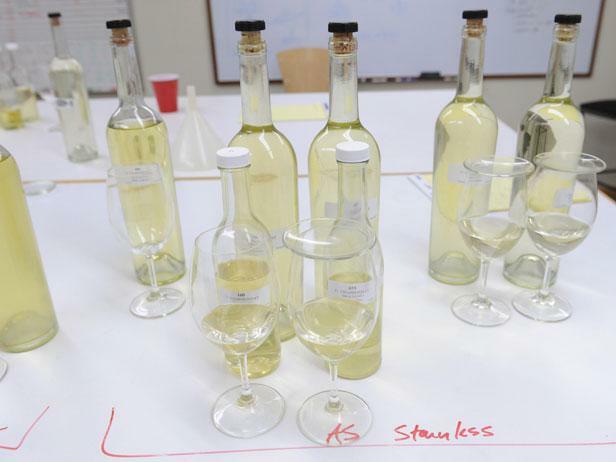 In the most recent case, we blended the 2011 Pinot Grigio, thus we opened and discussed the 2009 and 2010 vintages to see how the wines were aging. Finally, we blend the wines on the bench top, making 100 ml. of each possible blend, and then discuss the flavors, textures and aromas of each blend." 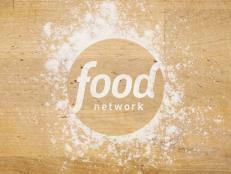 So what makes Food Network's wine, entwine, different from other brands? Karl says entwine is different because "they are blended with input from Executive Chef Rob Bleifer and Culinary Writer Rupa Bhattacharya from Food Network Kitchens, with the focus on being fruit-forward and food-friendly." We asked Rupa what fruit-forward and food-friendly meant and she said, "Wine can be called food-friendly if drinking it with food makes both the food and wine taste better — more complex, more interesting, more nuanced — than they would on their own. Fruit-forward just means that the wines are really about the fruit; we try to showcase the natural flavors of the grapes as much as we can." While no one would admit they had a favorite blend (Karl said he considers all of the wines his babies), Rupa did say that the Pinot Grigio is easy drinking. So what do you eat with entwine wine? Rupa's favorite recipe that she developed to pair with the Cabernet is a Central Asian-style carrot salad: "It's an almost perfect match," she says. 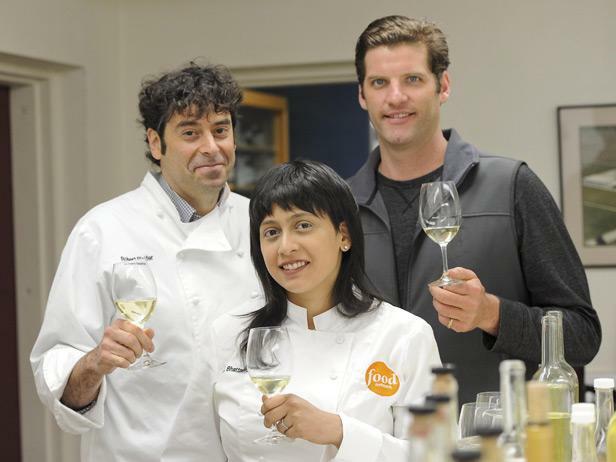 Dave Mechlowicz, director of food and beverage developed a beautiful pasta recipe for the Chardonnay that Rupa also loves: "The bitter radicchio and nutty pecans are gorgeous with the warm, toasty apple in the Chardonnay." But let's face it, sometimes we don't want to make a whole meal — we just want a glass of wine and a snack. In this case, Rupa thinks "beef jerky and Cabernet work perfectly, followed closely by Merlot and trail mix." What can fans of entwine expect in the future? Karl promises that entwine fans can "expect the team to continue to blend exceptional wines that pair well across a wide range of foods." Rupa adds that, "It’s important that you enjoy whatever it is that you’re drinking with whatever you’re eating — if that means steak and Pinot Grigio, even though I might think that’s a terrible pairing, if it makes you happy, that’s the important thing. What we’re trying to do with entwine is help people understand their own personal pairing preferences so they can feel comfortable and confident in their food and wine pairing choices." 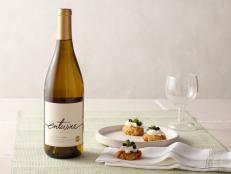 For those looking for ideas and inspiration, entwine-wines.com serves as a resource for all things food and wine. The site enables searching by meal type, main ingredient or wine type to access recipes from Food Network Kitchens. 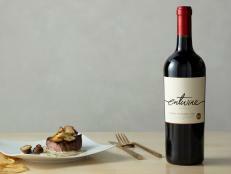 Pair Food Network’s two entwine red wines – cabernet sauvignon and merlot – with our favorite hearty grilled recipes. 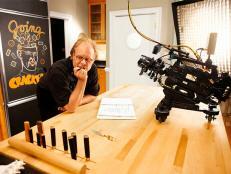 As Good Eats celebrated 10 years on the air, Alton Brown gave us an exclusive tour of the set. These days, catch Alton as the host of Good Eats: Reloaded every Mondayat 9|8c on Cooking Channel. 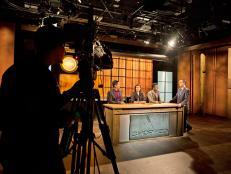 Get behind-the-scenes images from Thanksgiving Live! 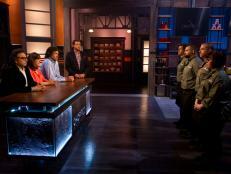 Competing on Chopped is tough, but putting together the show is even tougher. 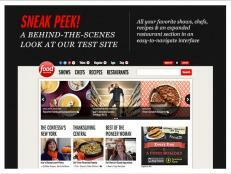 Behind the Scenes: FoodNetwork.com Upgrade in Progress! 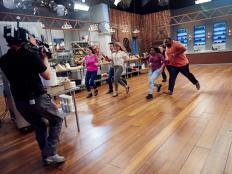 Get behind the scenes photos of FoodNetwork.com's upcoming website upgrade.